Commonly, the widely-recognized opioid crisis is blamed on drug dealers, including illegal immigrants who are bringing in drugs across the border. But among the biggest villains are the manufacturers of these drugs. They have greatly contributed to the crisis with their marketing to both doctors and the general public, as criminal justice expert Paul Brakke points out. He has recognized this contributor to the crisis as a result of his extensive research on the opioid crisis, as described in a chapter of his recently published Crime in America and in Dealing with Illegal Immigration and the Opioid Crisis. "Illegal immigration is one factor," says Brakke. "But even more serious is the high-powered sales and marketing techniques of drug manufacturers. They are generally able to engage in these promotional activities legally, but people are largely unaware of their role in contributing to the crisis." "How did this happen and what can we do about it?" Brakke asks. According to Brakke, a first consideration is that both prescription and illegal opioids are often abused because they are so addictive. They are so addictive, because, as reported by the National Institute of Drug Abuse in an article on "The Neurobiology of Drug Addiction," opioid medications bind to opiate receptors in the brain reward areas, so the person not only feels less or no pain, but pleasure. Then, as the brain gets used to these feelings and likes them, an opioid user has to take more and more of the drug to produce the same level of pain relief and well-being. As a result, the individual becomes dependent and later becomes addicted. Even Rush Limbaugh became addicted to opioid pills and had to struggle to overcome this problem. "That reduction of pain and the increase of pleasure is the basic driver leading individuals to want more and more drugs. Then, the doctor and pharmacist responds to that demand," says Brakke. "At the same time, the drug companies actively promote the use of these drugs to doctors, pharmacists, and individual users to increase demand. So individuals eagerly want more, get hooked, may resort to illicit opioids, and that can lead to an overdose in many cases." Brakke cites some of the commonly recognized statistics that show the extent of this crisis. According to experts, over 2 million Americans have become dependent on or have abused prescription or street drugs for both pain and pleasure. In 2017, there were over 72,000 overdose deaths, including 49,068 that involved opioid drugs, according to the Center for Disease Control. Over 130 people died each day from drug overdoses in 2016 and 2017, based on data from the U.S. Department of Health and Human Services (HHS). Some other statistics about addiction are that 11.4 million Americans misused prescription pain medicines in 2016 and in 2017 according to HHS. Another finding is that many people who become dependent on pain pills may start taking heroin instead, because it is less expensive than prescription drugs. According to National Institute of Drug Abuse estimates, about half of the younger heroin abusers first abused prescription painkillers, and three out of four new heroin users got their start using prescription drugs. According to Brakke, "These statistics are horrendous and the opioid epidemic is only getting worse. 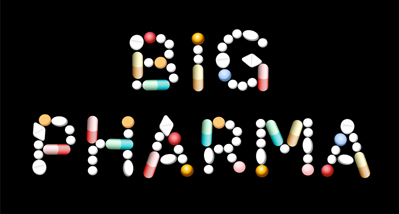 It's not just illegal drugs, but overprescribing by doctors and other health professionals. And a major reason for this overprescribing is the promotional efforts of the drug companies." As Brakke points out, the problem started with the overprescribing of legal pain medications, beginning in the 1990s, with opioid medications, such as oxycodone, hydrocodone, and morphine, to treat pain. At first these medications were popular for treating patients after they had surgery or if they were being treated for cancer. But in the last 15 years, doctors have increasingly prescribed these pills for chronic conditions, such as pains in the back, joints, or muscles. More recently, people have turned increasingly to synthetic opioids, such as fentanyl, which is much stronger than heroin -- 50 times as strong -- as well as cheaper, so more and more people have used it. Unfortunately, it can easily be lethal, especially when combined with alcohol, cocaine, or other drugs. "It's like a lethal cocktail," says Brakke, pointing out that the addition of fentanyl caused about 46% of the opioid deaths in 2016, and now it is the most commonly used drug involved in drug overdoses. In turn, this increased death toll from drugs has been fueled by overprescribing by physicians who felt concerned that pain was undertreated. At the same time, the pharmaceutical companies began marketing these drugs even more aggressively, while claiming these drugs had little risk, as Brakke notes, citing an article on "The U.S. Opioid Epidemic" by Claire Felter for the Council on Foreign Relations (CFR), updated on January 17, 2019. "So these drug companies bear much of the blame," says Brakke, citing the CFR article. "They have such high pressure sales tactics that even health-care providers have reported feeling pressure to prescribe opioid medications instead of alternatives, which might include physical therapy or acupuncture. But the prescribers accede to the wishes of the patients requesting these drugs, since the patients have been influenced by the ads of these drug companies, or since these other treatments may cost more or be less accessible." Brakke is particularly concerned about finding a way to overcome this opioid crisis because of his research about it, which he has reported in a chapter in Crime in America and in Dealing with Illegal Immigration and the Opioid Crisis. He is also planning a more in depth analysis of this problem in the future. In writing his books and working as a consultant, Brakke brings to the table a unique conservative approach to crime, criminal justice, and American society. That's in contrast to liberals who usually discuss ways to reform the system through more of a social welfare approach. Brakke's approach is based on an economic business model of doing what works most efficiently to both cut down costs and create more productive citizens. He is now bringing his unique approach to his forthcoming book Fractured America, dealing with the many divisions that are tearing America apart and how to heal these divisions. It will be published in early February.